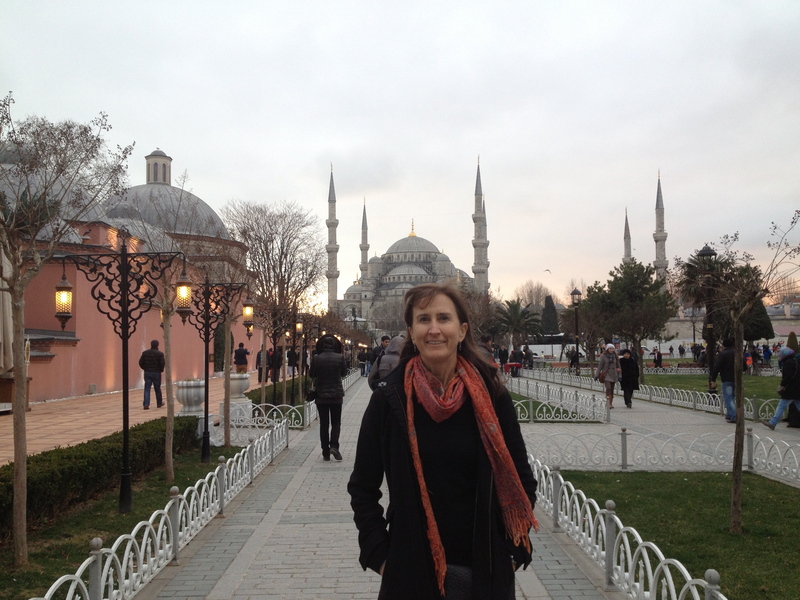 In February I spent a wonderful week in Istanbul, courtesy of the Middle Eastern Partnership Initiative. I attended a reunion with 120 bright, burgeoning student leaders from throughout the Middle East and Northern Africa, 19 of whom had also spent 5 weeks with us at Montana State University the summer before. 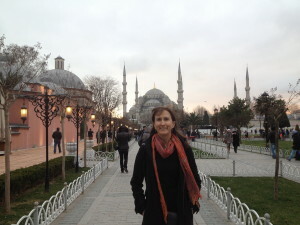 My colleague Janelle and I traveled 20 some hours to the city center to begin our Turkey visit. Bleary but excited, we started in a tiny boutique hotel near the famous Blue Mosque so we could walk to it and some of the surrounding cultural wonders of the world. 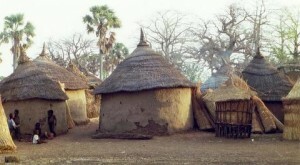 This also assured that we would hear a call to prayer five times a day as we visited the sites, including at sunrise. Listening to this Islamic ritual is a fun feature of old town Istanbul. I was putting clothes away in the hotel room as I heard the “call” as the sun set. 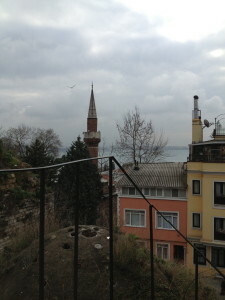 I learned that on a minaret 50 feet from my window there was a speaker that blasted the call loud, loud, loud and clear. 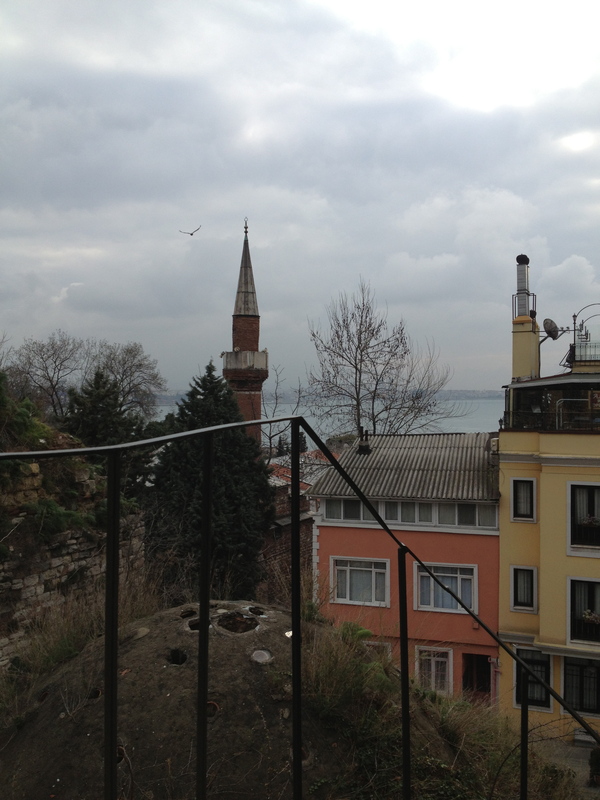 Instead being filled with gratitude I was in Istanbul, I went to panic. You know when you are so exhausted that you’d consider giving a tooth to get some sleep? Well, all I could think of was, “This is going to happen again at 5:50 am and I still needed to eat dinner and I won’t go to bed until 9 or 10 and then I am going to get jarred awake at 5 and then I won’t go back to sleep and then I will spend my first full day crying and OMG that bed in my room looks so inviting”…and, and, and…you know the drill. The sun rose the next morning with that dreaded call. I came to realize though that the chant actually ricochets around the city. Callers could be heard in the distance and our loudspeaker singing friend very periodically would then seem to reply. I did grab enough shut eye to survive and what started out as a source of anxiety, became a favorite component of my time in the city. We get busy. We get distracted and miss important aspects of a problem or of our lives. Cues are useful tools to help us be present and available as leaders, friends and family members. The calls to prayer are reminders to stop, pay attention and give thanks. We can use all sorts of cues to remind us to show up in our own lives, and for those around us. A wise Buddhist friend has a chiming clock at home that no longer keeps time. Without warning, at 3:06 or 12:49 for example, it will mark time with one to twelve bongs. She loves this clock because it is her ingrained cue to stop whatever she is doing, breathe and assure that she is in the present moment. This once perplexing event has become a welcome practice when I visit. When conflict strikes, I notice there are words or actions that cue me to recenter. Hearing “you are wrong,” after years of mediating calls me to breathe deeply and go into my conflict readiness stance. I have conditioned myself to ask, “Tell me more…” and I get very aware of my surroundings. The cue that there is conflict gets me very interested in looking for the clues for its source. What cues can you use each day to bring you back to the present? Is it your watch beeping each hour? Or can you create a persistent cue, like another asking, “How are you?” to bring you back home? This entry was posted in Conflict Skills, Leadership Development, parenting and tagged cross cultural strategies, leadership, MEPI, mindfulness, prayer on March 9, 2013 by Deidre Combs. Per your many requests, please find my March 23rd Tedx Talk below! It is also available on YouTube under the Tedx Channel at http://www.youtube.com/watch?v=GEAzWD3038Y . This entry was posted in Conflict Skills, Conflict transformation, Leadership Development, Life Challenges, parenting, Tough times and tagged Conflict Skills, cross cultural strategies, Leadership Development on April 24, 2012 by Deidre Combs. My husband shook his head a few months ago as we boarded a plane and I shared with the young, handsome airline staffer that he had great eyes. My daughter cringes when I can’t help myself and tell her friends how I love their outfits. I try to temper this behavior — the poor airline employee blushed apple red just to remind me that this is not common practice — but I still hold a deep belief in acknowledgement. I believe in acknowledgement and its sister action of encouragement because 1) It’s a conflict resolution skill of the first order and 2) It’s the reason that I have chosen to bravely embark on many favorite accomplishments. When I am passionate about an issue like good education for all, there is nothing more delicious than another seeing my passion and affirming fully that he’s heard me. “You really care about this. It is what feeds your soul. Here’s what I understand you are saying…” Hearing any of those are balm to the soul. If others are enthusiastically making a point, just let them know that you have heard the content, emotion and impact of their words; this works wonders in conflict. You don’t need to agree; just be clear that you have truly heard them. Before I left on an year long exchange to Mexico after high school, I was required to go to a Rotary training session over a weekend at a camp outside of Minneapolis. One of the session leaders suddenly required us to give an impromptu speech to about 10 gathered students and adults crowded in a small cabin. 30 years later (can it be that long?) I still remember one of the Rotarians coming up to me and out of the blue saying, “You are really good at public speaking, do you know that?” I didn’t. Now, whenever I get up in front of hundreds, or embarrass young airline employees that kind soul is more than partially to blame. His words encouraged me. They mattered, whether were true or just one man’s opinion. 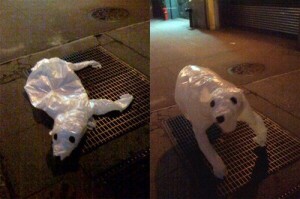 Check out this fun piece on artist Joshua Allen Harris, who after a bit of encouragement, has taken to creating fantastic pieces using garbage bags and subway exhaust. Where has encouragement empowered you? How might you acknowledge another’s contributions this week? This entry was posted in Conflict Skills, Conflict transformation, creativity, Leadership Development, parenting and tagged acknowledgement, art, Conflict Skills, cross cultural strategies, encouragement, parenting, playing well with others on December 12, 2009 by Deidre Combs. I remember twenty years ago when our son Cameron was a newborn and my husband and I ventured bravely from the suburbs to downtown Washington, DC on the Metro. He must have been three weeks old or so, as Cameron lay on my shoulder sleeping. A man across the aisle looked at the sleeping baby, I’m sure out of natural curiosity or happy memory, and I doubt I’ll ever forget my reaction. Holding tighter to our baby, I worried fiercely he wanted to take Cameron from me. I probably shot him a look that would kill as I envisioned all the ways I would protect my child. Childbirth had its way with me chemically. Bruce said about a week into motherhood that I acted like I had been hit by a truck OK, not a good metaphor to use with a woman recently recovering from childbirth, but I had to agree with him. The woman I was before the birth had replaced Stepford Wife style while I slept postpartum in the hospital. No, I didn’t become a more diligent cook or housecleaner (no such luck there), but I had become a person who now suddenly would be willing to rip the eyes of out a fellow Metro traveler. 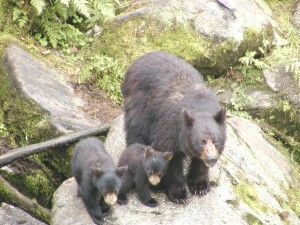 The “mother bear” instinct that took me over was often frightening. I must be honest, Before Cameron (BC), the thought never entered my mind how I might “take out” someone who would threaten one of my loved ones. After Cameron, I began to run scenarios on how I would jump in the tiger area at the National Zoo to rescue my children. How they would have gotten in the pen, I have no idea. Yet as I visualized attacking one claw equipped animal after another, I realized the footloose and worry free BC Deidre was gone. Around our house in Montana, every couple of years a yearling bear cub appears trying to forage for food. Bird feeders and garbage cans are our usual casualties, but I used to wonder why the mother bears would send off their babies so young. Watching how my mother bear instinct rages within me even though we have grown and almost grown children, I wonder if this early send off is nature’s way of keeping both mother and teenaged bear sane! With a twenty year old and two teenagers in our family, I am struck by how I still desperately want to keep them safe. I guess I always thought the “BC Deidre” might return when the kids reached a certain age. No luck there. Much to my children’s dismay, the mother bear instinct still remains. When our children play upon cultural edges, be it teenaged antics or a racy outfit, I notice that I don’t act my best. I want to throw a baby blanket over their heads and take them home, even if they are home! “Guess what, teenagers and twenty year olds need some self-determination and independence,” says my rational brain. Meanwhile, Mother Bear tries to take over, even if her logic on safety is completely out of whack. Sports are a funny aberration of mother bear gone awry. Go watch the antics of soccer moms. Why might you ask are these women ready to eat the referee alive, find themselves screaming at coach or opposing team parents, or pushing their children to run harder and play tougher? My theory is all the mother bears on the sidelines are internally chanting, “Winners are safer,” and “Great athletes have more opportunities and are thus safer.” Oh yes, and there is the constant message they could repeat that “Athletic kids are healthier (safer), get better grades (safer) and are less likely to do drugs (that will protect them too. )” Our logical minds can find counter arguments to all these pronouncements, yet the mother bears seize the stage and run to sign up little ones for another summer camp. So, in terms of this blog’s theme, how does a biologically programmed mother “play well”? Check out the story – When I get a bit territorial, it helps to realize what statement I’m using. It usually that ends with, “…are safer.” It’s then good to remind myself that it’s not always true that kids who get straight A’s are safer for example. What’s the story I’m using? Is it appropriate? Is it fair to my children? Be compassionate – I often dislike how wishing to create safety creates fear-based reactions. I want to support self-determination, creativity and independence in my children, so worry, inadvertent fussing or nagging rarely pleases me. But, I’m still a mother. Get between a grizzly and her cub and you’ll be in trouble. That my claws come out from time to time is only natural. Being kind to myself is better for all involved. Once out of my childhood house, but “Before Cameron,” I was always confused by my mother’s reactions when I’d periodically visit. Going out with friends, she would be worried if I returned late or struggled over choosing a new job direction. I would remark how silly it was how I could travel all over the country and live thousands of miles away and it didn’t bother her at all, but at home I needed a curfew. Now twenty years AC, I understand entirely. 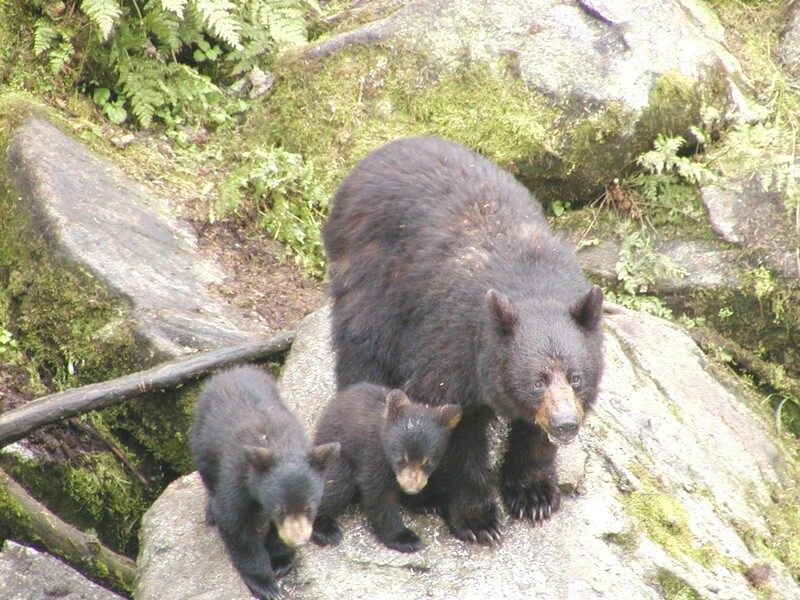 Mother bears become just that when their cubs drop by, whatever their age! This entry was posted in Conflict Skills, Leadership Development, parenting, Play and tagged brain research, children, limbic system, parenting, playing well on October 27, 2009 by Deidre Combs. As I read about the world’s mourning rituals I notice that you can catch a cold, you can contract the flu, but you can also get a case of sadness or joy from another. Emotions are contagious, which is not such a bad thing. When I was pregnant, I didn’t think that the viral nature of emotions was good. I couldn’t watch intense dramas; “Shindler’s List,” “The Joy Luck Club” or “Life is Beautiful,” were far from my viewing list. I could bearly watch a happy sitcom on TV since there might be one of those “times of your life” commercials that could set me into tears. In that state, my emotional radar was so strong that I could sympathetically cry about just about any moment. It was embarrassing. Now far away from the prenatal stage, I recognize that there are still times where being exposed to another’s grief or hardship can get me weeping. For example, when I’m struggling, I’m leery of situations or films that will bring up sadness. I want to hide out and be entertained with fluff. Yet, I am hiding, not truly coping, and in that lies the core reason for communal grieving. Around the world, we can find long lasting rituals that push us to face and move through the sadness of loss. In Ireland and Scotland for example, the practice of keening or a vocal lament over a corpse was popular from the sixteenth century on. Women, often paid for their services, would recite list the lineage of the deceased, poetically describe those left behind and literally sing his praises. This practice continues in parts of rural Greece where elder women of the community sing laments at funerals, memorial services and during exhumation. These songs appear to have the same effect as watching “P.S. I Love You.” Those grieving are moved to tears. Yet, they are expected to stay relatively under control so they can follow the singing. In Greece, if a widow were to lose control and begin shouting for example, the rest of the mourners would move her back to her seat so that she can listen to the laments and quietly weep. In tribal culture of western Africa, communal grief rituals are created when a major loss occurs. Meanwhile during the ritual, others in the community are expected to describe their own tragedies and sadness so together the tribe can move to the other side of mourning. You might begin by recounting how you miss your deceased aunt, yet I would be expected to add how I am suffering with the loss of my grandfather and the sadness I feel that life is so short. Here too people lament until they are moved to face the source of suffering and allow it to be seen and processed. Ritual seems to be created to keep the grief on track. We are required to stay with our sadness instead of being distracted by the injustice of the loss and running down the path of rage or blame. What is gone, is gone and we are to simply face it. So how might I translate this knowledge to my drama vs. romantic comedy dilemma? Lately, I have been watching what type of emotion I am trying to avoid. Is it I don’t want to witness sadness? Do I want to run from others who are afraid or anxious? Struggling with facing the reality of injustice in the world? Starting there, I try to identify which emotion has me on the run. Then I attempt to just allow that feeling to be within me. For example, I was avoiding the natural sadness that comes with sending another son off on an exchange program on Friday. It didn’t seem right, since it is mixed with huge joy for his next adventure; I didn’t want to be sad and happy at the same time. However, I noticed that I instead had been wanting to hide from anything emotional…generally, not a good practice. I realized I had some internal clean up to do. To push myself along, I looked at pictures of when he was a toddler and thought of our dear boy as a baby…a bit masochistic I know, but it really helped. Essentially created my own little lament. After allowing happy/sad/nervous to be fully present, I now find I can better participate in his last week home. What is equally important for me is to be comfortable enough with my own grief, so I can show up for another in a similar circumstance. We really need community when we are struggling. As in my last post on Job, it is when we can stick with someone as they experience scary emotions that we shine as friends…and as parents. This entry was posted in Conflict Skills, Life Challenges, parenting, Tough times and tagged community, cross cultural strategies, friendship, grief, managing emotions, Tough times on August 31, 2009 by Deidre Combs.